If we analyse the execution technique, the topic of “auxiliary tempera” becomes more complex with respect to fresco painters of that time. Simone Martini does not only paint the fresco, completing it with a mezzo-fresco, but continues working on his painting without time limits just like an egg tempera painting on wood. At a first glance, it may seem that Martini did not give any importance to the carbonatation process, but the presence of the days’ work (giornate) belies this. An analysis of the master’s painting and technical procedure shows that he prepares a rather synthetic, almost monochrome, sketch on the fresh plaster, focusing more on the complexions of the many characters. 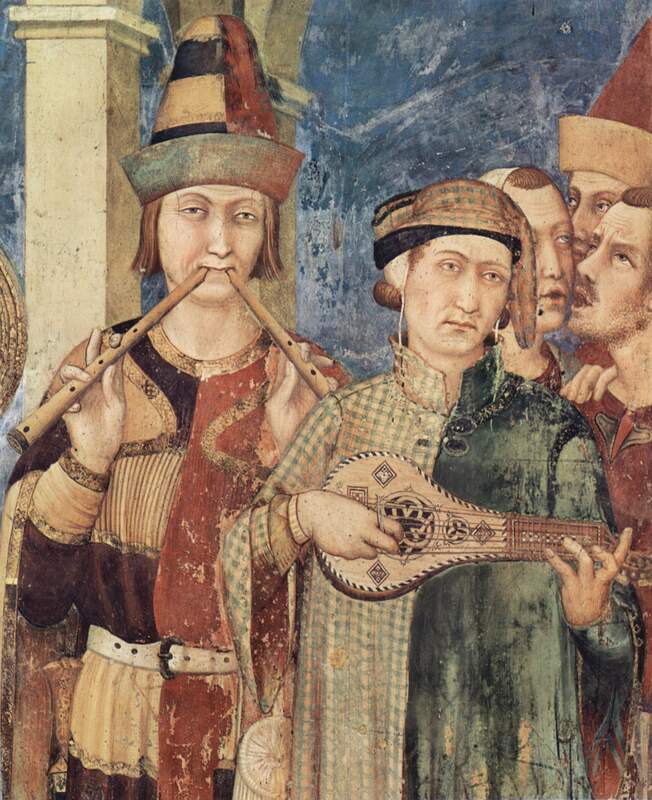 Up to this point, the operation is similar to Giotto’s but the re-elaborations made by Simone Martini over time highlight a different concept of the wall-painting technique. Let’s not forget that the technical aspects also reflect social and cultural situations, and aesthetic qualities, etc. To get a better understanding of Simone Martini’s technique, we analysed the frescoes in the “Cappella Montefiore” of Assisi. What impressed us most was the richness and freshness of the colours. At a closer inspection, we notice that many of them are worn-out, altered or completely gone. An analytical study of the paintings allowed understanding the type of tempera and therefore the binder used, namely, egg tempera emulsified with linseed oil. 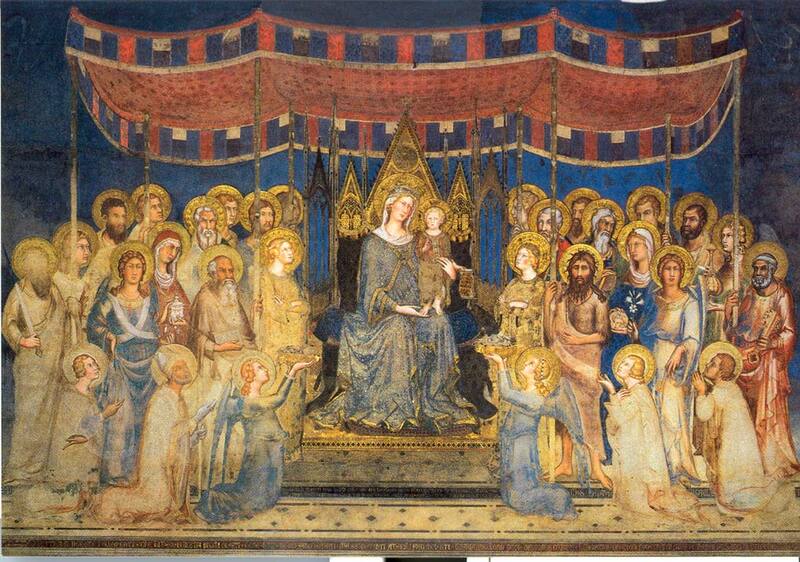 When Simone Martini started decorating the Chapel of Cardinale Montefiore (lower church of the basilica) many technical experiences on fresco painting were realised by the first “pontate” (sections worked in one day) of Cimabue with many results. Every painter took into account the errors of previous painters and invented new techniques and products that could resist over time. From the “pontate” to the “giornate”, short days with buon fresco, long days completed with auxiliary tempera, use of quicklime in the colours, use of lime mortar in its natural white colour, lead white: these are all variations used in the Franciscan basilica in the first thirty years of the 14th century.